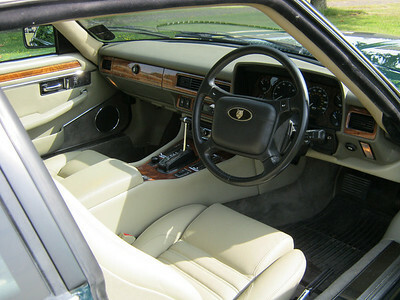 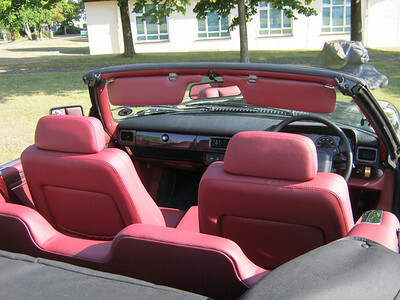 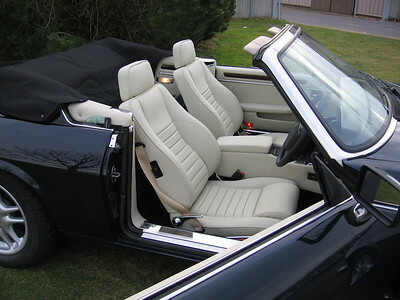 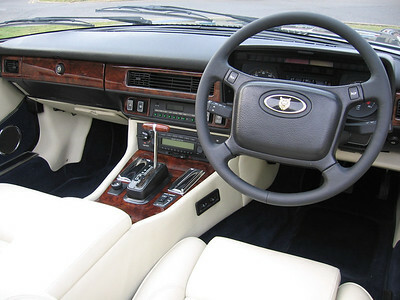 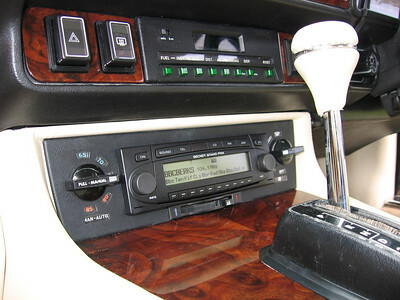 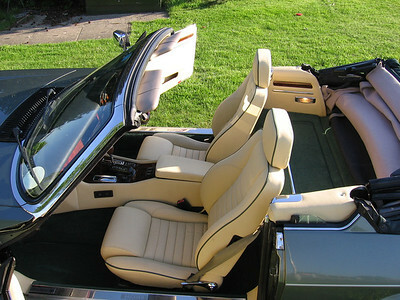 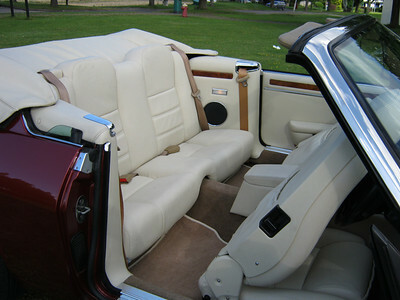 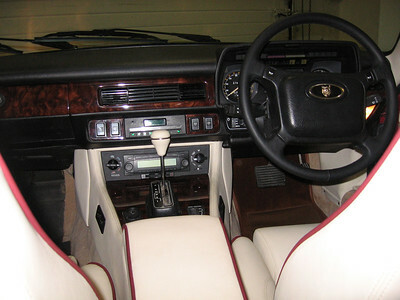 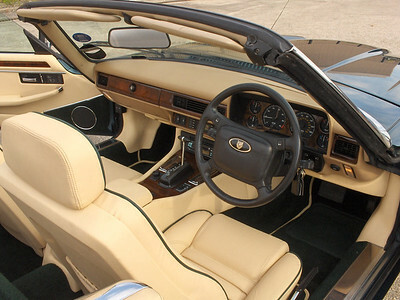 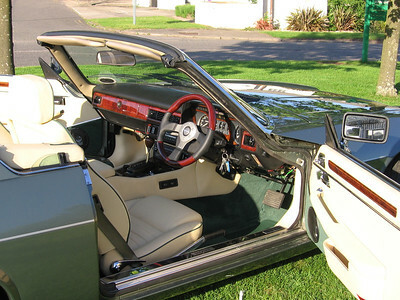 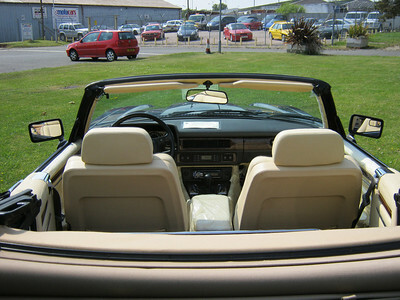 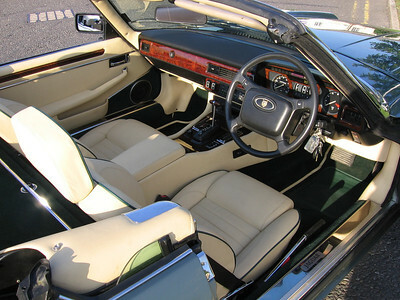 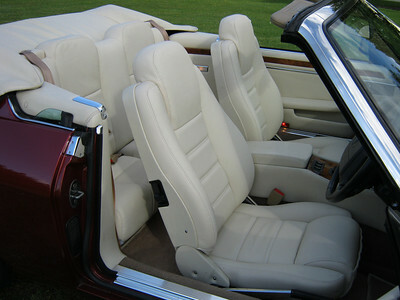 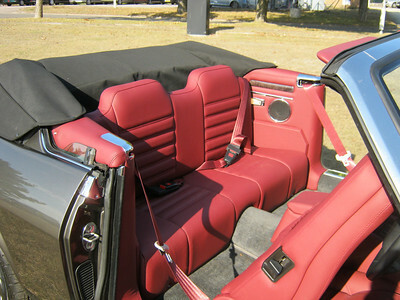 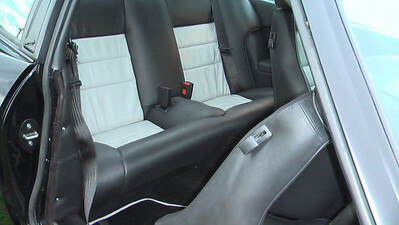 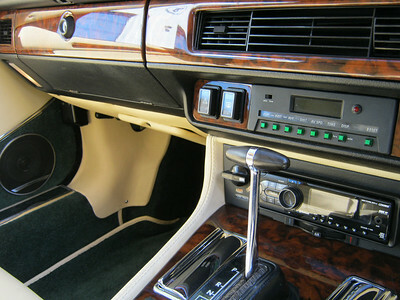 A selection of KWE XJS interior schemes. 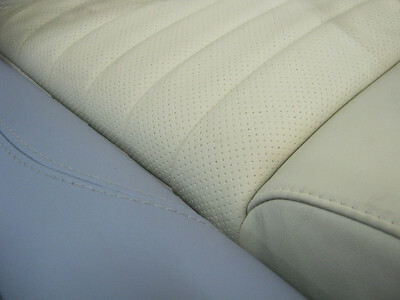 Leather can be in a wide range of colours, with contrasting panels, colour-keyed piping and plain or perforated texture. 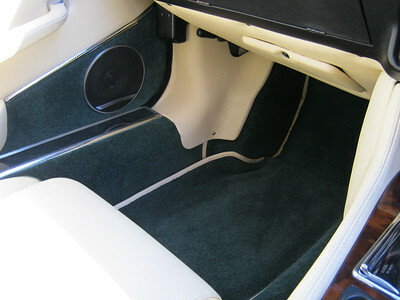 Carpet is wool, and can have contrasting leather edging. 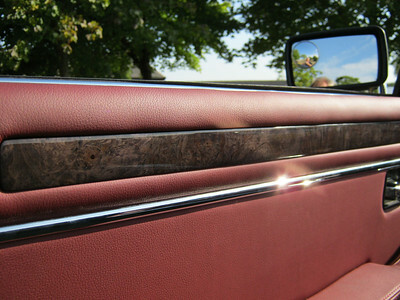 Wood veneers can be American burr walnut, European burr walnut, bird's eye maple, ash or myrtle. 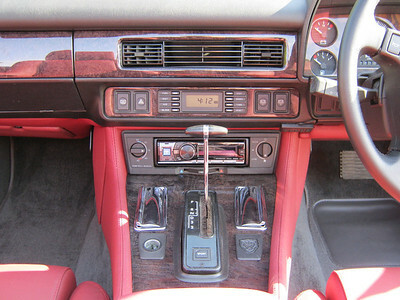 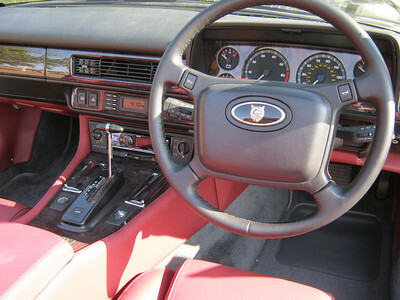 We can emboss in the elather the Jaguar 'leaper', an 'XJS' or the KWE logo. 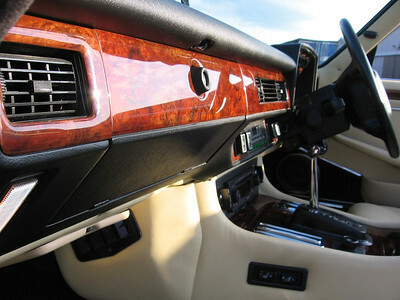 Special embossing tools can be made up at low cost. 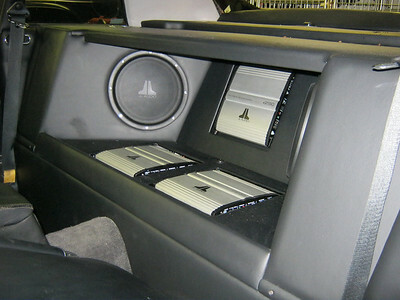 A wide range of audio upgrades is available from head unit upgrades to flip out screens and dedicated rear speaker enclosures, subwoofers and extra sound deadening. 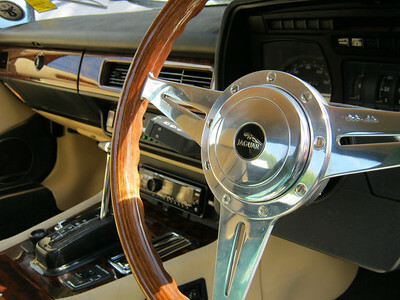 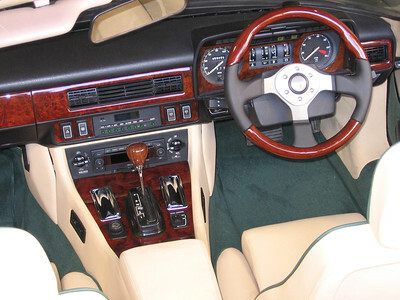 A range of steering wheels can be supplied. 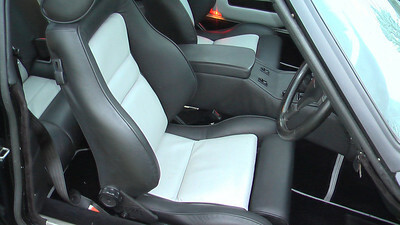 Existing wheels can be re-trimmed in new leather of the same or a different colour. 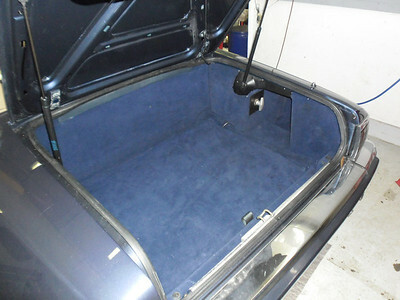 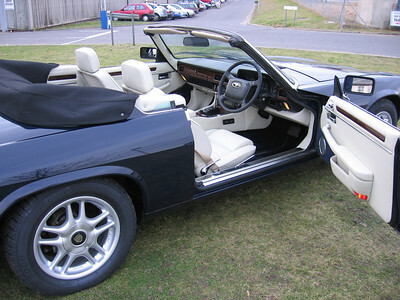 Here an XJS boot has had a flat-floor conversion where the battery, spare wheel and tools are hidden beneath a new floor.